Join Us for special fifteenth anniversary screening.  September 11, 2001 saw the greatest destruction and loss of life associated with the 9/11 terrorist attacks in New York City. After 15 years and numerous government investigations later, many public misconceptions persist about the events of that tragic day – especially regarding the unprecedented destruction of the World Trade Center in Lower Manhattan. Using documented forensic evidence, news footage and eyewitness accounts, this groundbreaking documentary examines why more than 200 firefighters and 2,300 architects and engineers are calling for a new investigation of 9/11. 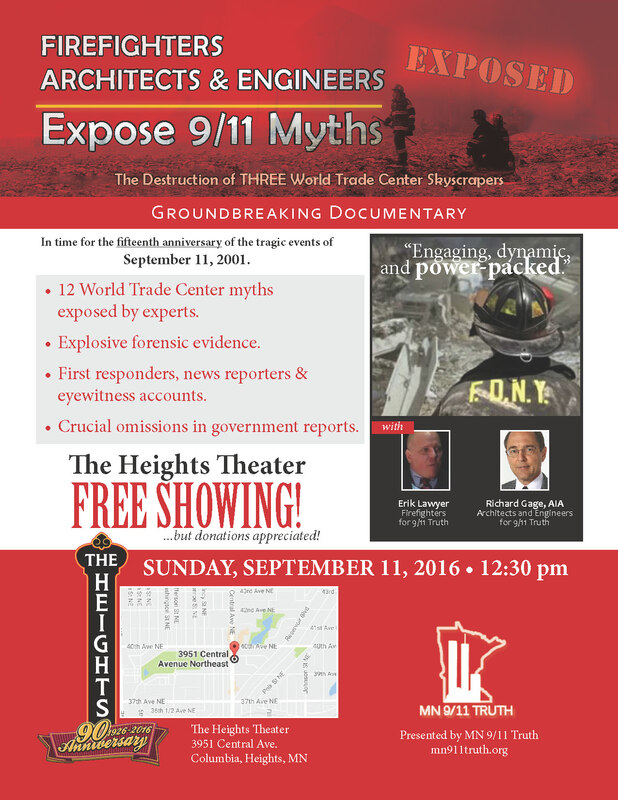 MN 9/11 Truth is sponsoring this free screening, but donations will be accepted gladly! We will host a brief Question and Answer session after the movie. Sundy, Sept. 11, 2016, 12:30 p.m.
An interview with Susan Lindauer, former U.S. Conressional Aide turned whistleblower. 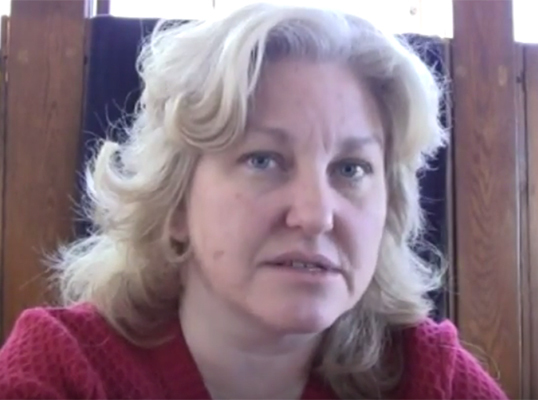 In this 4-part video interview, Susan Lindauer established a timeline with first-hand knowledge of how the U.S. wanted to create a war with Iraq based on deception and misinformation. I believe we had a real chance with the peace option in Iraq. This September 11 come watch on of the definitive documentaries about the lead up to and events of that horrific and fateful day. Dinner: Due to the length of the film, veggie spaghetti will be served. Feel free to bring a dish. This gathering is a tribute to Michael Ruppert, who made the film and started showing it right after 9/11. The film is a documentary based on his years of research starting with discovering narcotics trafficking in Los Angeles by the CIA. Ruppert brings diverse events and historical threads together to reveal the intentional nature of 9/11. Although we lost Michael Ruppert last year, his legacy lives on in his films, writings and collaborations with other radical truth seekers. Over the last fourteen years more and more people have begun to question the events of that day and have watched in horror the devastation of Iraq and other countries in the Middle East. Hope you can attend.